Mike grew up in Wahoo, NE and is a graduate of Bishop Neumann High School. He went on to the University of Nebraska at Omaha and received his degree in ...Exercise Science. He completed his Doctorate of Physical Therapy degree from Des Moines University in Des Moines, IA. He enjoys treating patients of all ages and a wide variety of orthopedic conditions. He is a member of the American Physical Therapy and Nebraska Physical Therapy Association. Mike lives in Wahoo where he enjoys golfing, and spending time with his wife and children. Kellen was born and raised in Brainard, Nebraska. After high school, he moved to Lincoln and attended Nebraska Wesleyan where he graduated with a Bachelors degree in Biology. He then ...attended Creighton University in Omaha, and earned his doctorate of physical therapy. Kellen is an APTA credentialed Clinical Instructor. 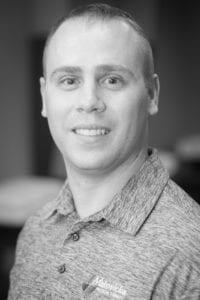 He is level 1 certified in Functional Dry Needling, and certified in orthotics. Kellen is a member of the APTA. Shane was born and raised in Ashland, Nebraska where he attended Ashland-Greenwood High School. He attended Clarkson College and obtained his Associates of Science in Physical Therapist Assistant degree. Shane ...is a current member of the American Physical Therapy Association as well as the Nebraska Physical Therapy Association. His clinical interests are orthopedics and sports related injuries, especially football. Shane currently lives in Brainard, Nebraska, and joined the Makovicka/Sylliaasen team in February 2014. Jennifer was born and raised in Syracuse, Nebraska. After graduating from high school, she attended Briar Cliff University, in Sioux City, Iowa, where she was a member of the softball ...team. She earned her Bachelor’s of Arts in Health, Physical Education and Recreation and minor in Human Resource Management. Jennifer then moved to Omaha, Nebraska where she attended Methodist College and obtained her Associate of Science in Physical Therapist Assistant degree. Jen is a member of both the APTA and the NPTA. Kendra was raised in Yutan, Nebraska and graduated from Yutan Public Schools. She then attended Northwest Missouri State in Maryville, Missouri, before attending Nebraska Methodist College in Omaha, Nebraska. She ...graduated with an Associates of Science degree in Physical Therapist Assistant with honors and was initiated into the Educated Citizen Honor Society at Nebraska Methodist College. 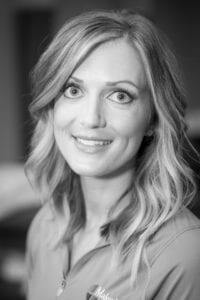 Kendra is certified in Graston Technique and is interested and experienced in orthopedic and geriatric care. 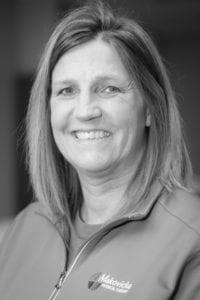 She is a member of the American Physical Therapy Association and the Nebraska Physical Therapy Association. Kendra became a member of the Makovicka-Sylliaasen Physical Therapy team in 2012. Mike grew up in Wahoo, NE and is a graduate of Bishop Neumann High School. He went on to the University of Nebraska at Omaha and received his degree in Exercise Science. He completed his Doctorate of Physical Therapy degree from Des Moines University in Des Moines, IA. He enjoys treating patients of all ages and a wide variety of orthopedic conditions. He is a member of the American Physical Therapy and Nebraska Physical Therapy Association. Mike lives in Wahoo where he enjoys golfing, and spending time with his wife and children. Kellen was born and raised in Brainard, Nebraska. After high school, he moved to Lincoln and attended Nebraska Wesleyan where he graduated with a Bachelors degree in Biology. He then attended Creighton University in Omaha, and earned his doctorate of physical therapy. 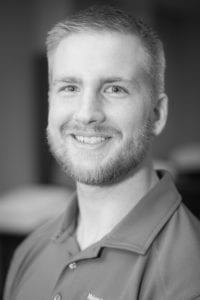 Kellen is an APTA credentialed Clinical Instructor. 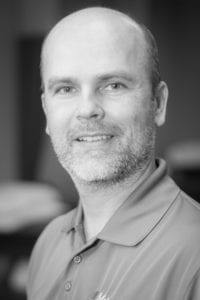 He is level 1 certified in Functional Dry Needling, and certified in orthotics. Kellen is a member of the APTA. Shane was born and raised in Ashland, Nebraska where he attended Ashland-Greenwood High School. He attended Clarkson College and obtained his Associates of Science in Physical Therapist Assistant degree. Shane is a current member of the American Physical Therapy Association as well as the Nebraska Physical Therapy Association. His clinical interests are orthopedics and sports related injuries, especially football. Shane currently lives in Brainard, Nebraska, and joined the Makovicka/Sylliaasen team in February 2014. Jennifer was born and raised in Syracuse, Nebraska. After graduating from high school, she attended Briar Cliff University, in Sioux City, Iowa, where she was a member of the softball team. She earned her Bachelor’s of Arts in Health, Physical Education and Recreation and minor in Human Resource Management. Jennifer then moved to Omaha, Nebraska where she attended Methodist College and obtained her Associate of Science in Physical Therapist Assistant degree. Jen is a member of both the APTA and the NPTA. Kendra was raised in Yutan, Nebraska and graduated from Yutan Public Schools. She then attended Northwest Missouri State in Maryville, Missouri, before attending Nebraska Methodist College in Omaha, Nebraska. She graduated with an Associates of Science degree in Physical Therapist Assistant with honors and was initiated into the Educated Citizen Honor Society at Nebraska Methodist College. 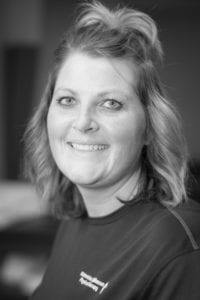 Kendra is certified in Graston Technique and is interested and experienced in orthopedic and geriatric care. 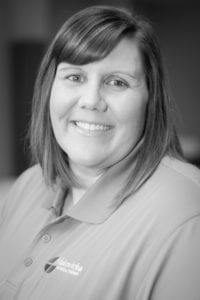 She is a member of the American Physical Therapy Association and the Nebraska Physical Therapy Association. 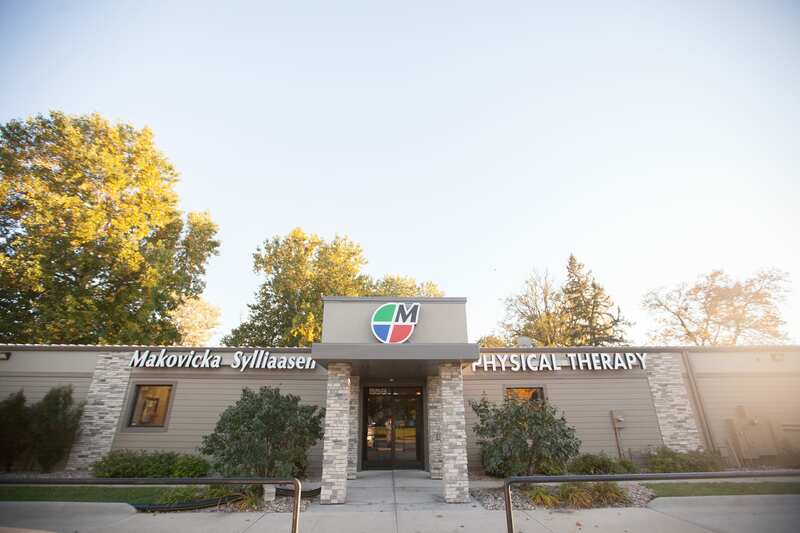 Kendra became a member of the Makovicka-Sylliaasen Physical Therapy team in 2012.